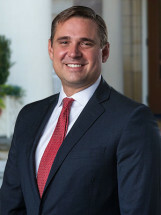 Attorney R. Chad Duffield grew up in the small town of Pine Grove, West Virginia. He attended Wheeling Jesuit University and obtained a Bachelor of Science Degree in Product Design and Development. While working on his undergraduate degree, he was a computer-aid-draftsman for the National Technology Transfer Center, assisting small businesses and entrepreneurs in developing new products. Mr. Duffield then obtained his Juris Doctor degree from the University of Pittsburgh School of Law where he served as the Articles Editor for the Journal of Technology, Law & Policy. While attending law school, Mr. Duffield worked as a certified legal intern for KidsVoice, representing abused and neglected children in the Pittsburgh area. After completing law school and passing both the Pennsylvania and West Virginia bar exams, Mr. Duffield completed a two-year clerkship with the Honorable Louis H. ("Duke") Bloom of the 13th Judicial Circuit Court in Kanawha County, West Virginia. Mr. Duffield then joined Farmer, Cline & Campbell, PLLC in 2006 where he has worked as a litigation attorney for more than twelve years. During that time he has represented hundreds of individuals, children, and families who were injured or lost loved ones as a result of automobile, motorcycle, and trucking collisions, coal mining accidents, defective products, and improperly maintained premises. Mr. Duffield was named a "Top 10 Trucking Trial Lawyer" in West Virginia by The National Trial Lawyers, is a member of the Academy of Truck Accident Attorneys, and has received hands-on tractor-trailer driver training and instruction for legal professionals through The Legacy Corporation International. The National Trial Lawyers have also recognized Mr. Duffield as a "Top 40 Under 40" attorney in West Virginia from 2012 through 2017 and as a Top 100 Civil Trial Attorney in since 2015. In 2014 and 2015 he was also awarded the "Ten Best Under 40 Client Satisfaction Award" by the American Institute of Personal Injury Attorneys. Mr. Duffield is also a member of the Million Dollar and Multi-Million Dollar Advocates Forums. Mr. Duffield has always devoted time to his community, as evidenced by being named the Katherine Fouts Community Service Medal recipient at Wheeling Jesuit University and a Community Service Award recipient at the University of Pittsburgh. For more than a decade he has served on the Board of Directors of The Counseling Connection, a nonprofit organization that provides mental health counseling, therapy, education, and advocacy services in West Virginia. Mr. Duffield also served as an adjunct instructor for Wheeling Jesuit University from 2010 through 2012.